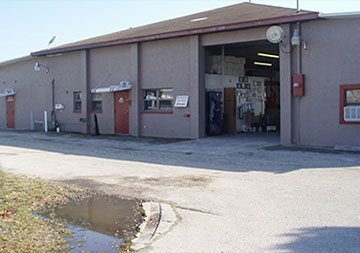 We’re a family owned and operated towing, front end alignment, and body repair company, and we’ve been in business since 1977. 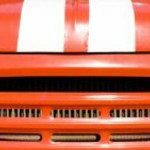 We offer services to vehicles of every size, including cars, trucks, busses, semis, box trucks, RVs, boats, and more. 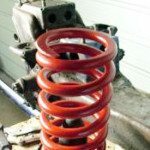 Areas of service we specialize in include body repairs, frame straightening, front end alignments, vehicle towing, and complete body repairs and refinishing of all vehicles. Gene’s Towing offers 24/7 towing service and our body shop is open Monday thru Friday 8:00 to 5:00 for your body shop needs. Gene’s Auto Frame has earned the trust of many customers throughout the year by being fair and honest through reasonable pricing, quality workmanship and satisfaction guarantee. Direct repair shop for Progressive Insurance heavy truck division. We repair all types of vehicles, car, boat, truck and RV’s. All makes and models. We also accept all types of insurance company vehicle claims. 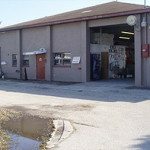 Gene’s Auto Frame was first started in 1977 when Gene moved to sunny, beautiful Florida from Chicago. Gene started the business in a small warehouse.  While Gene was originally the only employee, through the years the business has grown significantly. Gene started out specializing in straightening frames and alignments. 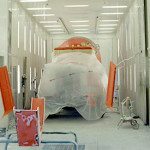 Shortly he branched out into full body and paint repairs facility on all types of vehicles foreign, domestic makes & models. Gene’s Towing has 14 employees, a 4-acre , 14-bay shop and 3 paint booths. 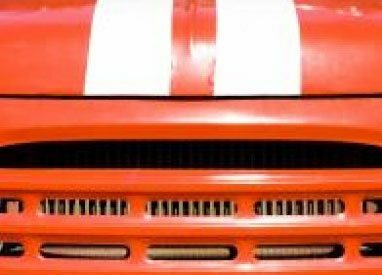 We have now been in business for 38 years and have the capabilities of repairing all vehicles from cars to tractor trailers, dump trucks cement trucks, garbage trucks, fire trucks and many others. We have on staff a certified welder. We can fabricate anything and specialize in this department. We repair frames, unibodys, body repairs and refinishing of any size, make or model. 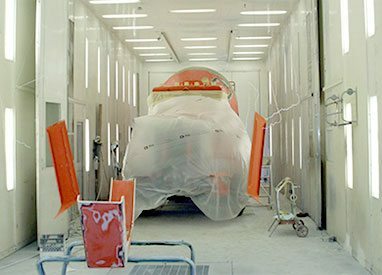 We have the largest single paint booth in SW Florida that has the capability to refinish any large vehicles. We also have a certified engine mechanic on staff. Gene has built his business based on honesty and excellent service, and his dedicated to customer service that has taken the business from a small, one-person business to the successful business it is today. 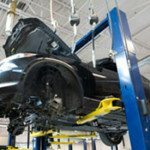 Today the business specializes in far more than just towing – the business also specializes in frame straightening, body repairs, front end alignments, complete painting, and more. While Gene ran the company for over 28 years, after his retirement in 2005 his son and daughter took over the business. Gene’s children continue to run the family owned business with integrity and a focus on customer service. The company has sponsored and donated money to local kid’s sports leagues, Lee County Drug Coalition, and Gene’s Towing continues to reach out to the community in this manner. 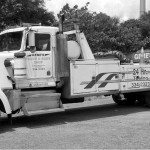 When you end up being stranded by your vehicle, Gene’s Towing can come to your rescue. 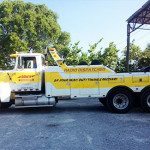 We offer towing services for any type of vehicle, whether you’re driving a semi or a small car. 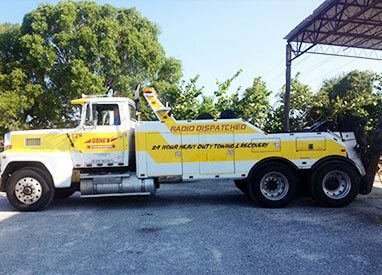 Our towing services are available 24/7, and we’ll tow you to our shop (or a shop of your choice) where we can diagnose and repair your vehicle quickly. Even if you’re just out of gas or you need a battery jump, our towing service has you covered. 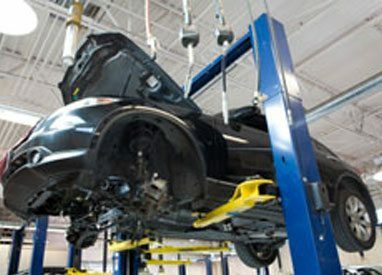 Gene’s Towing offers a full-service garage that works with vehicles of any make, model, and size. 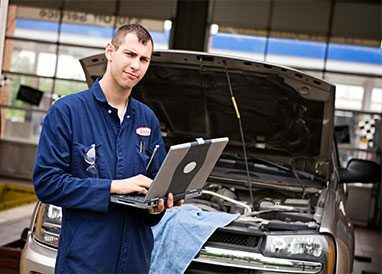 Not only do we have the equipment needed to test and evaluate your vehicle, we have the equipment and parts to get your vehicle running as quickly as possible. 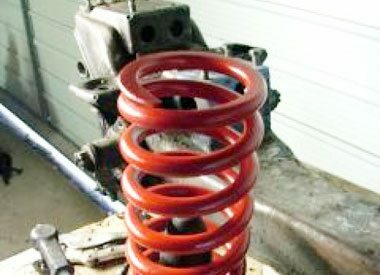 We only use the highest quality parts and all of our technicians are certified and experienced. Our Shop Manager has more than 37 years of experience, ensuring that you get the quality repairs you need in a timely manner. 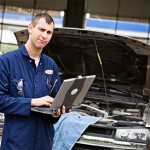 Not only do we offer repairs, but we offer routine maintenance to make sure your vehicle performs at its best. At Gene’s Towing, we’re dedicated to offer our customers the very best customer service. Our professionals take the time to answer questions, inform you of any potential problems, and they follow up with customers after repairs are completed. Whether you require towing services, body repairs, alignments, or other services, we focus on offering you the best customer service every time you call. © 2019 Gene's Towing. Website design by OMG National.